Višeslav Laboš, editor of The Anthology, uses the broad term "electroacoustic music", which here denotes musique concrète, electronic, synthetic and computer music as well as works for acoustic instruments and tape, and he sets the timeframe with the creation of compositions from 1956 to 1984. Within the set frame, the principle behind the editorial concept and means of choosing the works included in The Anthology was to include an author’s first electroacoustic composition as well as the compositions which were most significant not only for the author’s oeuvre, but also for the history of Croatian electroacoustic music. This does not imply that there is no artistic value in certain first works; the aim was to highlight the fact that it was not the primary criterion for choosing a piece. An author’s first composition in a new medium marks the beginning of exploration and the introduction to a new sound language, its principles and possibilities, which is why they are often not their most successful pieces in the medium used. Although initially that approach might be considered as a disservice done to the composers here presented, the editor actually aimed to present, among others, the first attempts at electroacoustic music as well as the response of the Croatian academic music scene to its appearance and the new tendencies of the time. That is the very idea behind the title of the publication: In Search of a New Sound and the reason why certain facts (such as the one that Malec worked in Paris as early as the mid-1950s in one of the first electronic studios, and that Sakač’s Svemirski pejzaž (Cosmic Landscape) is the first electroacoustic work realised in Croatia but, like most other compositions on this double disc, it has never been released) are more relevant for the creation of The Anthology. In the poetic as well as compositional and technical sense, the composers and works included in The Anthology do not make a homogeneous whole and there is no reason for a search for style homogeneity either. Nevertheless, they are connected thanks to their pioneer involvement in the creation of electroacoustic music, international work and detachment from the artistic traditionalism present in the musical institutions and academia of the time. That primarily refers to the earliest period, during which there were no electronic studios in Croatia, which is why most composers presented here are a kind of migrants who continued their studies and work abroad and consequently stayed in touch with the international music scene developments. Also, their interest in electroacoustic music and their activity in the field are artistically and poetically important because they represent a reaction to the conservatism mentioned above, result of, among others, a previous nationalistic musical ideology. The development and progress within this field are largely owed to individuals who at the time produced their electroacoustic works outside of the mainstream academic community, first in international studios, then in Radiotelevision Zagreb’s (nowadays HRT) modest conditions and, from 1972, in Radio Belgrade’s electronic studio, the only studio of that kind in Yugoslavia. Unfortunately or fortunately, the situation has remained unchanged and interesting explorations of electronic music, multimedia, space composition, new instruments, software and tracking systems are mainly carried out by musicians who are not part of institutions and with the help of the energy, determination and knowledge of enthusiasts, among whom most certainly is the editor of this compilation. It is the result of Laboš’s long-time research, within which he located the recordings, interviewed the authors and listed all the electroacoustic works written by Croatian composers in the set period. That is undoubtedly a major and praiseworthy feat whose result should definitely be published and consequently be made available for further research. 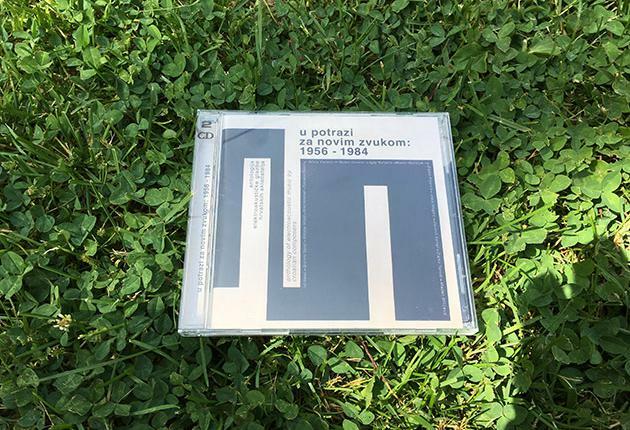 In Search of a New Sound : 1956-1984, Anthology of electroacoustic music from Croatia is a joint-production by the Multimedia Institute and Croatia Records. This essay was published as the foreword in the Anthology’s booklet, and was translated by Karolina Rugle and Ana Uglešić. We wish to thank Višeslav Laboš, Davorka Begović, the Multimedia Institute and Croatia Records for the opportunity to publish it here.